The British Academy of Film and Television Arts (BAFTA) in Wales, BAFTA Cymru, has announced the winners of the 2018 British Academy Cymru Awards. The awards honour excellence in broadcasting and production within film, games and television in Wales and inspire the next generation of creative talent. The ceremony was hosted once again by BBC Radio 1 presenter, Huw Stephens, at St David’s Hall, Cardiff, where presenters included producers Barbara Broccoli OBE and Michael G. Wilson OBE; actress Elen Rhys (Apostle, Ordinary Lies) Aimee-Ffion Edwards (Detectorists, Peaky Blinders, Troy: Fall of a City); presenter Sean Fletcher; actor Jason Hughes (Marcella, Midsummer Murders, Three Girls); new Doctor Who companion Mandip Gill and Sion Alun Davies (Craith/Hidden and Requiem). Other guests included actor and singer Shaheen Jafargholi (EastEnders and Casualty), Joe Hurst (Wanderlust, The Casual Vacancy) and Dino Fetscher (Humans, Paranoid, Banana, Cucumber), Saran Morgan (Gwaith/Cartref), actress Elinor Crawley (Vikings, The White Queen) and soprano Elin Manahan Thomas. 22 Awards were presented during the ceremony in front of an audience of 1000 guests and others joining via a live stream to special viewing events in Carmarthen, Caernarfon and New York. Keeping Faith / Un Bore Mercher received three awards – for Actress (Eve Myles), Original Music (Amy Wadge and Laurence Love Greed) and Writer (Matthew Hall). In the other performance categories, first time nominee Gareth ‘Alfie’ Thomas won his 1st BAFTA Cymru award as Presenter of Alfie v Homophobia: Hate in the Beautiful Game. 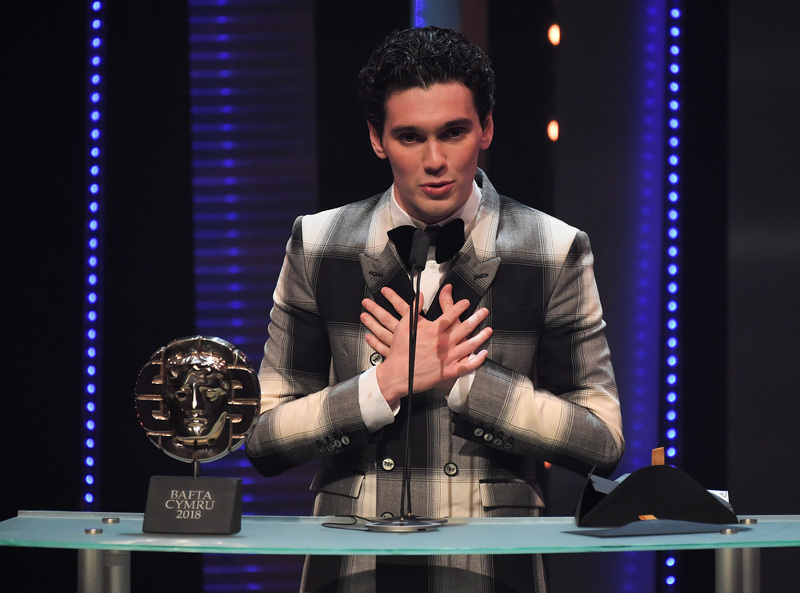 The Actor award was also won by a first-time BAFTA Cymru nominee, Jack Rowan for his role in Born to Kill. 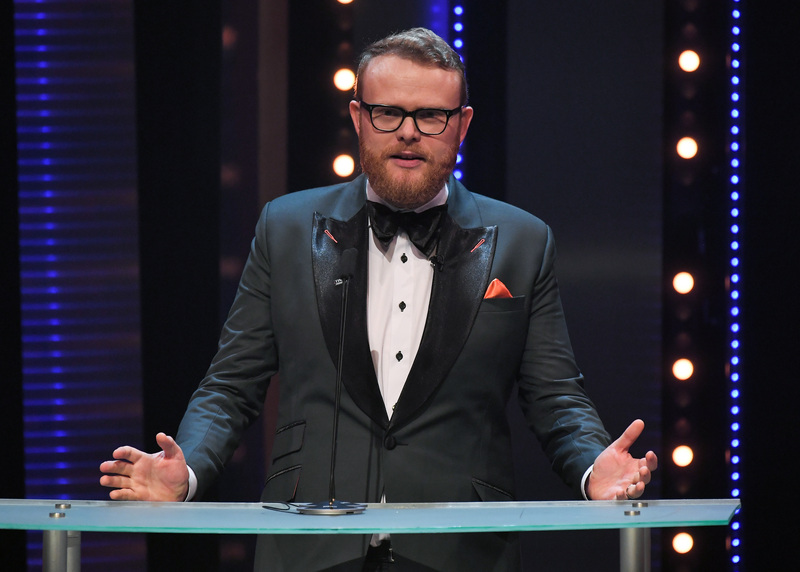 Members of the Joio team collected the Television Drama award for Bang, which was shot on location in Port Talbot and Dafydd Hunt picked up his 3rd BAFTA Cymru award for Editing on the same series. Welsh individuals working on UK productions also collected awards this year. Sian Jenkins won her first BAFTA Cymru award for the Costume Design category for her work on BBC One Requiem, which was shot in Wales. Euros Lyn collected his 6th BAFTA for directing another Channel 4 series Kiri. Laura Martin-Robinson and Clare Hill won the Director: Factual award for Richard and Jaco : Life with Autism, which also won the Single Documentary award. The Game award category, which returned to the BAFTA Cymru Awards last year, was collected by Wales Interactive and CTRL Movie for Late Shift. The Children’s Programme award was won by Cic and the Entertainment Programme award by Salon while Stuart Biddlecombe collected his first BAFTA Cymru award for Photography and Lighing: Fiction for his work on Craith / Hidden. Huw Talfryn Walters won his third BAFTA Cymru award for Photography: Factual on Frank Lloyd Wright: The Man who Build America and John Markham won his second BAFTA Cymru for Sound on Band Cymru 2018. The Short Film award was won by Geraint Huw Reynolds for Helfa’r Heli. The Factual Series category was won by Surgeons: At the Edge of Life and Week in Week Out won the award for News and Current Affairs. Post-production and facilities company Gorilla returns as Key Event Sponsor and returning sponsors and partners have been confirmed as AB Acoustics, Aberystwyth University, Audi UK, Bad Wolf, BBC Cymru Wales, Bluestone Brewery, Buzz Magazine, Capital Law, Cardiff Council, Champagne Taittinger, Channel 4, Clarins, Cuebox, Da Mhile Gin, Deloitte, DRESD, Elstree Light and Power, FOR Cardiff, Genero, Glyndŵr University, Hotel Chocolat, Iceland, ITV Wales, Ken Picton Salon, Mad Dog 2020 Casting, Pinewood, Radisson Blu, San Pellegrino/Acqua Panna, S4C, St Davids Hall, Taylor Bloxham, The Social Club, Agency, Trosol, University of South Wales, University of Wales Trinity Saint David, Villa Maria, Waterstone Homes, Welsh Government, Working Word and Yr Egin.